Early morning; a tuk-tuk waits on the side of the road for passengers. 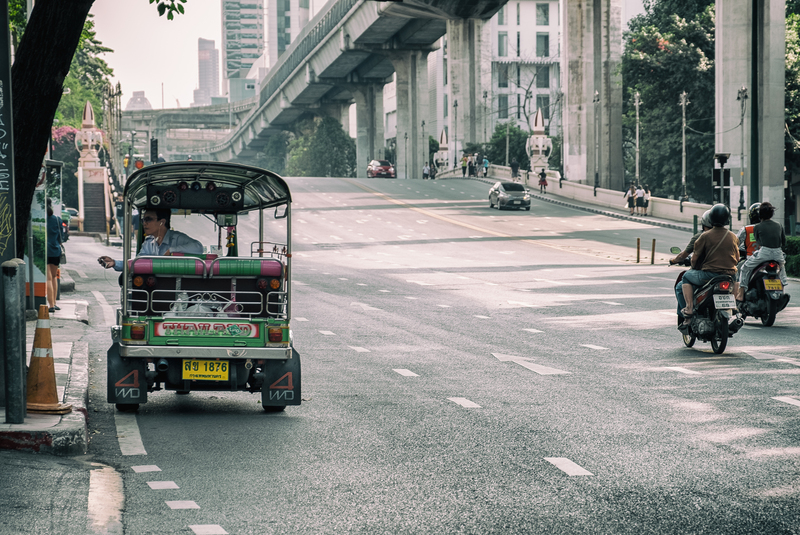 Tuk-tuks are the modern, motorized versions of a rickshaw found on the roads of Bangkok. Early morning on the street; wanted the folks to see the vehicle stand out. Thanks Tim.